The possibility of terrorism against bridges is an ever-increasing threat in today’s society. There is a need to protect the nation’s bridges from intentional or accidental explosions. The impacts of these loads on buildings and military structures have been studied for many years, but design for resistance to explosive effects is a growing area for bridge engineers.To help ensure the safety of bridges in the U.S. and protect the nation’s infrastructure, additional design and detailing guidelines for blast-resistant highway bridges is needed. 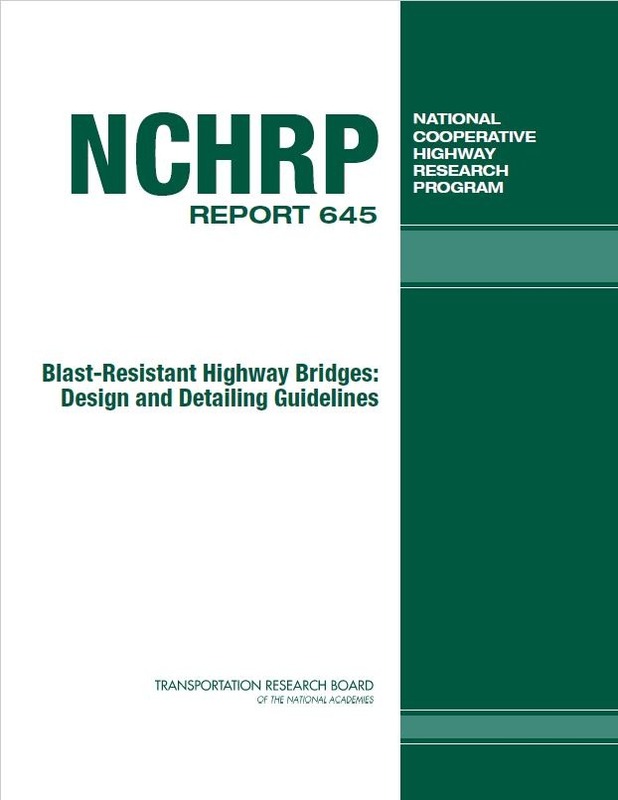 To address this need, research was performed under NCHRP Project 12-72 by the University of Texas at Austin with the assistance of Protection Engineering Consultants and Modjeski and Masters, Inc.
NCHRP Report 645 presents code-ready language containing general design guidance and a simplified design procedure for blast-resistant reinforced concrete bridge columns for bridge designers. The report fully documents the results of experimental blast tests and analytical research on reinforced concrete bridge columns intended to investigate the effectiveness of a variety of different design techniques, which lead to the development of design and detailing guidelines for blast-resistant reinforced concrete bridge columns. Download and read the NCHRP Publication lead by Eric Williamson, Ph.D., P.E. at UT Austin with assistance from PEC team members Kirk Marchand, P.E. and Aldo McKay, P.E.